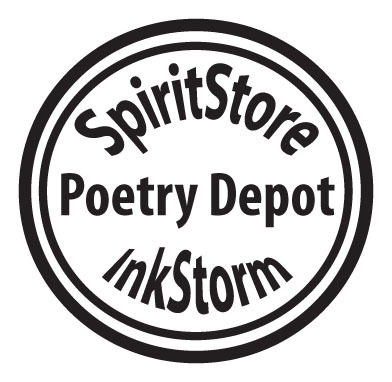 In spring 2012, SpiritStore held its final consultation with InkStorm Poets. The Poetry Depot is now managed by Dave Rock and the InkStorm poets. The Poetry Depot has since participated in Irelands premier poetry festival 'Cuirt' 2012. Projects growing independently of our initiation is a measure of the sustainablility of our practice. This is the second project that has thrived beyond our starting point, in fact the Poetry Depot participated in CATDIG version 2011. Now organised by a core group of businesses on Catherine Street, CATDIG itself has had two further iterations since ev+a 2010, with sponsorship from Beamish. SpiritStore and Inkstorm first came together in summer 2010 when SpiritStores' Marilyn Lennon approached Dave Rock, InkStorm poet, to discuss the possibilities of running a similar event here in Ireland, with some alterations and additions to suit the context we're working in. 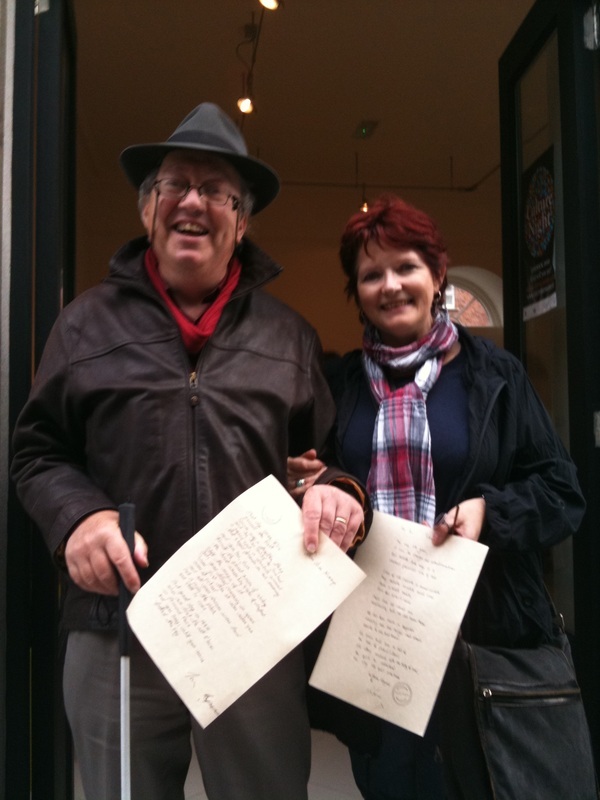 Dave Rock along with fellow InkStorm founder member Ben Coombs and Marilyn Lennon began to work together to develop a collaborative poetry writing method. The goal of the SpiritStore/InkStorm Poetry Depot is to engage skilled poets and a new audience in a shared/joint experience of writing. Together SpiritStore and Inkstorm have worked through a series of workshops and Poetry Depot events which help to mould our collaborative methods. Our schedule began with a small experimental Poetry Depot on Culture Night, Limerick 2010 and has evolved as the project continues. Over several interations of the Poetry Depot, consultation with the public and poet workshops, the Poetry Depot experience and its evaluation have changed the language that is used to deliver the concept. Conscious that the perception of the poets writing practice, of sustained creative writing, should not be diminished by the method, we are careful to point out that the poems produced at Poetry Depot are first drafts of a poem. For the majority of writers this draft merely begins a period of reflection and creativity which may produce a finished poem. Our starting question is this; what happens when we provide a place for peoples’ stories to emerge in the form of poetry,? Here is an opportunity for both writers, and the people they work with, to join the dots of their experiences and reflect on what these experiences mean in relation to the written word. "At the Poetry Depot your Poet has 10mins to compose your poem using your inspiration. You may already know what you’d like, simply jot down a few seeds of information for the poet. If you don’t know where to start, SpiritStore and Inkstorm have come up with 10 questions which may help generate those seeds. Feel free to answer all or any of them, be as quirky, open or imaginative as you want, just go for it. Bring the Poet one of SpiritStore’s flyers with your questions filled in, have a chat and step away. Your Poet now has 10mins to mprovise your personal poem, written while you wait". Before you start, what is the subject of this poem? • Describe characteristics or the life of this person/place/object. • What is the most interesting or important thing about this person/place/object? • What other things does the person/place/object remind you of? • Tell us about import moments this person/place/object makes you remember. • How is your mood affected by this person/place/object? • Describe in a couple of words the history or the story of this person/place/object. • Describe activities associated with this person/place/object. • What are the most memorable sounds/tastes/textures/images/smells that arise for you when you think of this person/place/object?